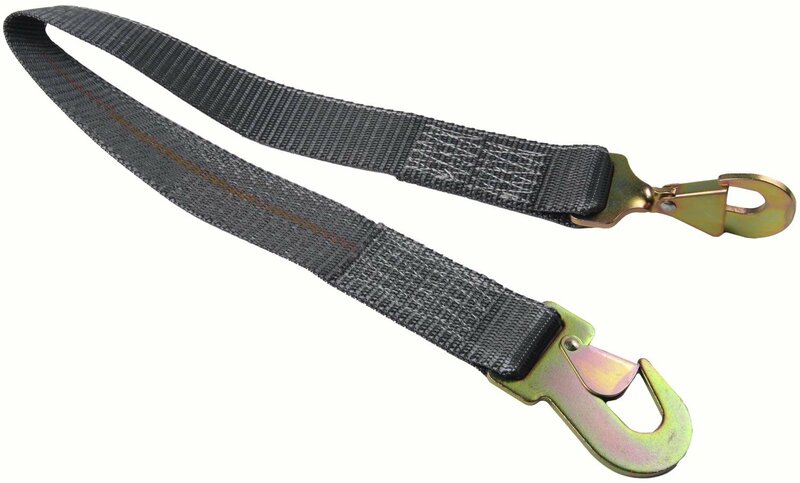 JEGS Extension straps are ideal for either the front or rear end your vehicle for securing it to your trailer when space does not allow for working room to operate a ratchet tie-down. These are to be used in conjunction with ratchet tie-downs at the opposite end. They are available in three convenient lengths (24", 30", 36") with one flat snap action hook and one 90° snap action hook to easily secure the vehicle to the floor mounted attachment point. Note: Capacity is the maximum load an assembly should be subject to during normal use. The safe working load is 1/3 of the rated capacity in order to allow for G-force of weight shift under braking.